Xavier Ramey is the CEO of Justice Informed, LLC, a social impact consulting firm based in Chicago, IL. 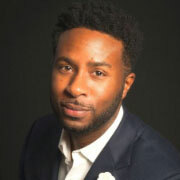 Combining his background in economics, extensive management & social impact experience, deep network and practice in institutional change, & direct action campaigning in the Black Lives Matter movement, Xavier leads a company that brings a wealth of experience & networks to clients seeking catalyzed strategies for Diversity-Equity-Inclusion, philanthropy, CSR, & community engagement. Xavier is an award-winning social sector leader, international public speaker, & workplace and community cultural practice translator. A native Chicagoan, he is a recognizable voice on the topics of community and economic development, intersectional social justice, racial justice, public policy, & 21st century inclusion and equity practices. Xavier served as the lead of the Social Innovation and Philanthropy strategy in the University of Chicago’s Office of Civic Engagement, managed multi-million dollar philanthropic portfolios to support employment and income opportunities for marginalized communities, & worked as a nonprofit Director of Development in Chicago’s North Lawndale community. He has consulted for institutions and persons across the world, predominantly in the US and Africa. Xavier is an Executive Board member of Young Chicago Authors, & the Chicago Center for Arts and Technology.